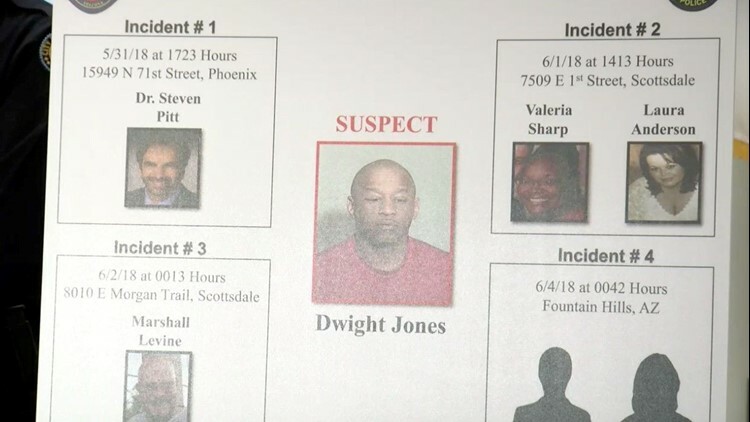 Dwight Lamon Jones, 56, has been named by police as the perpetrator in six murders in Phoenix and Scottsdale. 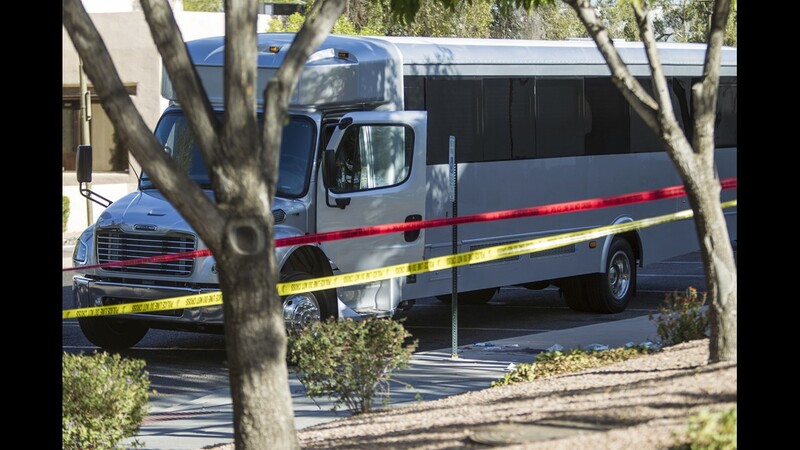 SCOTTSDALE, Ariz. — Police say a man who systematically gunned down members of the legal community in Phoenix and neighboring Scottsdale had killed a total of six people before killing himself Monday. 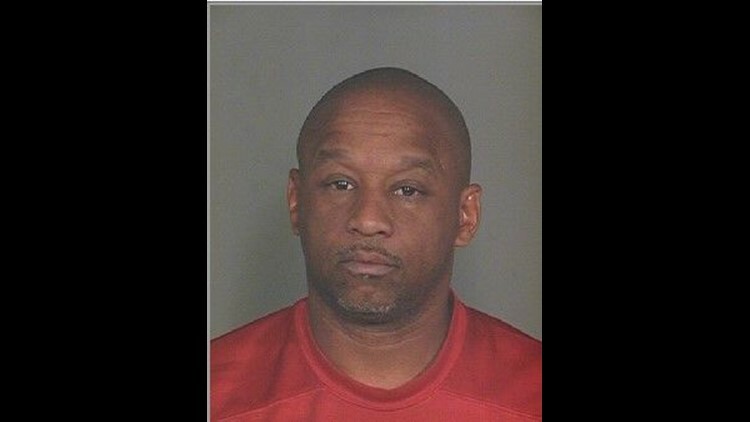 Authorities have identified that man as Dwight Lamon Jones, 56. They say all of the shootings have been linked either by DNA evidence, ballistics or Jones sightings. Phoenix police said officers tracked the suspect over the last day and a half and were attempting to make contact with Jones at an Extended Stay America hotel in Scottsdale shortly before 7 a.m. MT on Monday. Shots were fired as the SWAT team went into the suspect's room, but officers did not fire, Phoenix police Sgt. Vince Lewis said, the Associated Press reported. The suspect was found dead of a self-inflicted gunshot wound, Lewis said. Police used a robot to enter the room. Jones was alone. Lewis said police did not fire any shots and no one else was injured. A placard showing shooting suspect Dwight Jones is seen during a law-enforcement press conference June 4, 2018. Jones ex-wife, Connie Jones, said she was deeply saddened by the tragedy in a statement released Monday. "He was a very emotionally disturbed person as the court records will confirm," she said in the statement. "Personally, I have feared for my safety for the past nine years. I cannot express the emotions I feel for the innocent families touched by this." Guests staying at the hotel said police knocked on their doors around 5 a.m., telling them a situation was developing and that they needed to evacuate. Daniel Jackson said he was sound asleep after working a late shift when he answered his door and saw about 10 officers, rifles at their sides. They told him to stay in his room. He closed the door and less than a minute later, they knocked again, telling him now would be a good time to evacuate. The series of murders that began Thursday evening rattled the legal community. Police said evidence connects all four homicides. First killed was Steven Pitt, a forensic psychiatrist who consulted on a number of high-profile cases including the Baseline Killer case and the JonBenét Ramsey murder investigation. He was gunned down outside his Phoenix office. Lewis said witnesses overheard a loud argument followed by gunshots at about 5:30 p.m. Thursday. 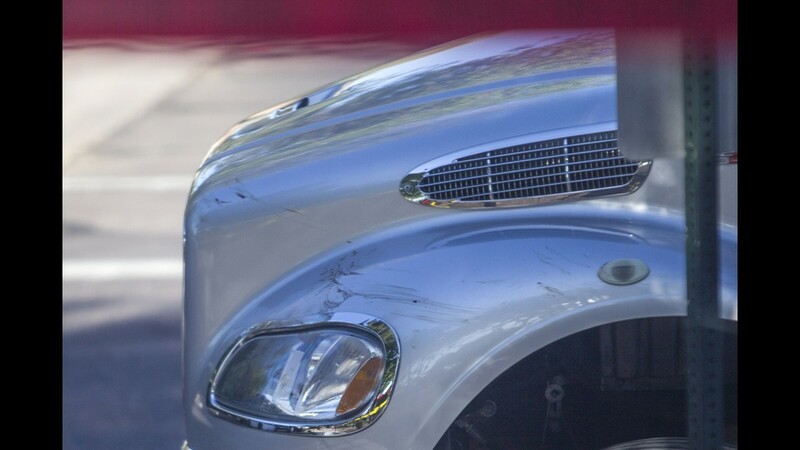 The 59-year-old died at the scene. The shooter fled the area, leaving police with nothing but a sketch of a round-faced man with a dark-colored cap. 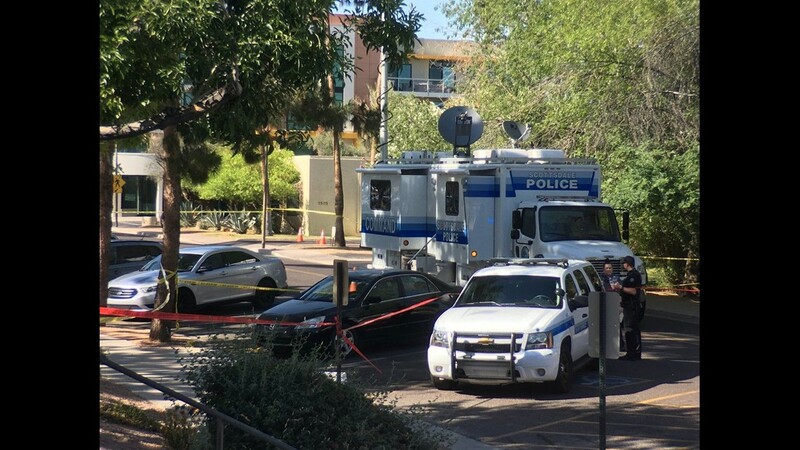 Less than 24 hours later, Veleria Sharp, 48, and Laura Anderson, 49, were shot in the downtown Scottsdale law offices of Burt, Feldman and Grenier about 2:15 p.m. Friday. Both women worked as paralegals. Police said one of the women was shot in the head. She then ran out of the office and flagged down a party bus driver to call for help. She was later pronounced dead. Police on Monday also confirmed that evidence linked a fourth murder to the series. 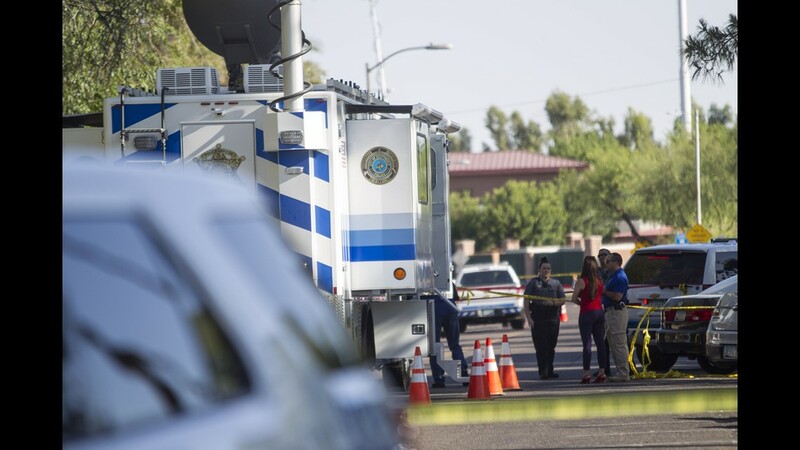 Two women were fatally shot near First and 75th streets in Scottsdale on June 1, 2018. 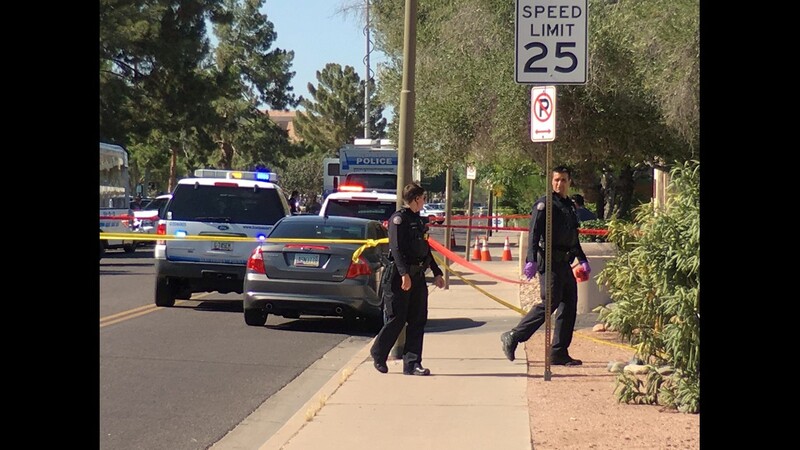 Police are on the scene of a double shooting in Scottsdale on June 1, 2018. 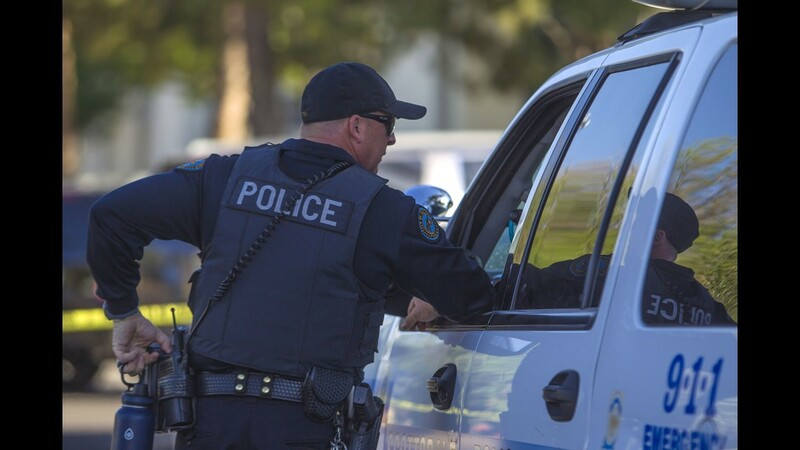 Scottsdale Police investigate a double murder near First and 75th streets in Scottsdale on June 1, 2018. Psychologist and counselor Marshall Levine was found dead of an apparent gunshot wound early Saturday inside a Scottsdale office building. Hoster said an acquaintance discovered Levine's body shortly after midnight. Lewis, the Phoenix police spokesman, said, "we are confident" that Levine's homicide is related to the other three. In a news conference Monday afternoon, authorities said they had attributed two additional murders to Jones. A couple was found dead inside their Fountain Hills, Arizona, home early Monday. Their names were not immediately released. The lack of answers in the investigation left many legal and mental-health professionals with a sense of unease as they prepared for the workweek. Multiple lawyers said they had hired additional security or planned to avoid going into the office Monday. Since police hadn't named a suspect, no one knew who else might be a target. Lawyers met in darkened cafes Sunday, scrambling to figure out which clients the lawyers at Burt, Feldman and Grenier had in common with Pitt. Stephanie Isherwood, who owns the building where Pitt's office was located, said in an interview Sunday that Pitt was aware of the dangers of his career. His entire profession focused on the mental health of criminals, frequently delving into unstable territory, Isherwood said. But he didn't let his cases dominate his personal life. Instead, he divided his time between his work and his love for hiking, traveling and spending time with his family. Isherwood still remembers the first time she met Pitt nearly 15 years ago: He had already made a name for himself as a prominent psychiatrist by consulting on a number of notorious cases, including the 1999 shooting at Columbine High School and the JonBenét Ramsey murder investigation. Yet he casually welcomed a group of frenzied reporters into his office to discuss an ongoing case while clad in a crisp white dress shirt paired with a pair of hiking shorts and boots. A news conference wasn't going to get in the way of hiking Camelback Mountain. Pitt's zeal for life made his death even more heartbreaking to Isherwood, she said. "He was willing to dedicate himself to this, and he put aside the risk to do what he did," she said. "He was trying to triumph over evil and serve justice, and this is what happened." 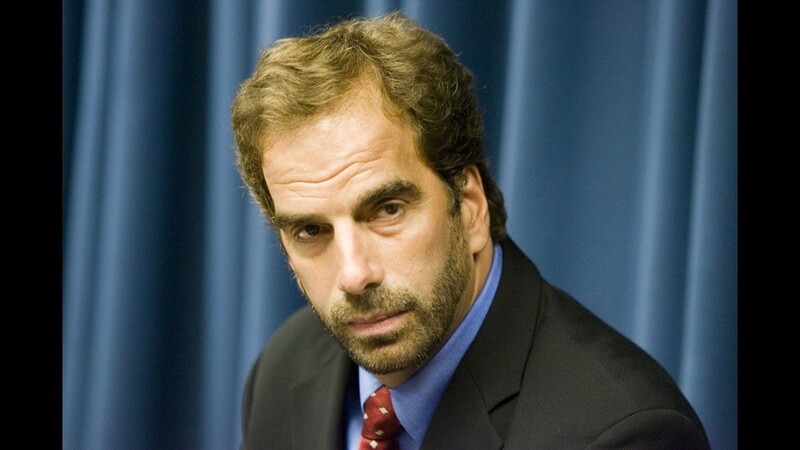 Dr. Steven Pitt, a forensic psychiatrist, speaks at a press conference in 2006 about how he is aiding the Phoenix Police Department with the "Baseline Killer" case. 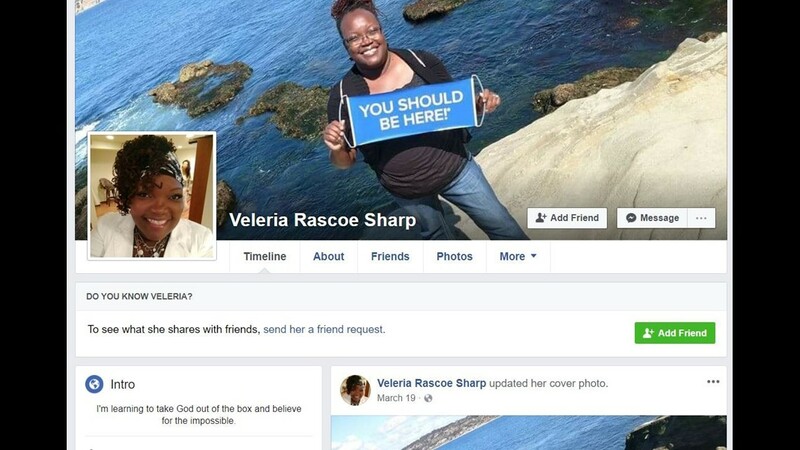 Veleria Sharp was shot and killed in a Scottsdale law office on June 1, 2018. 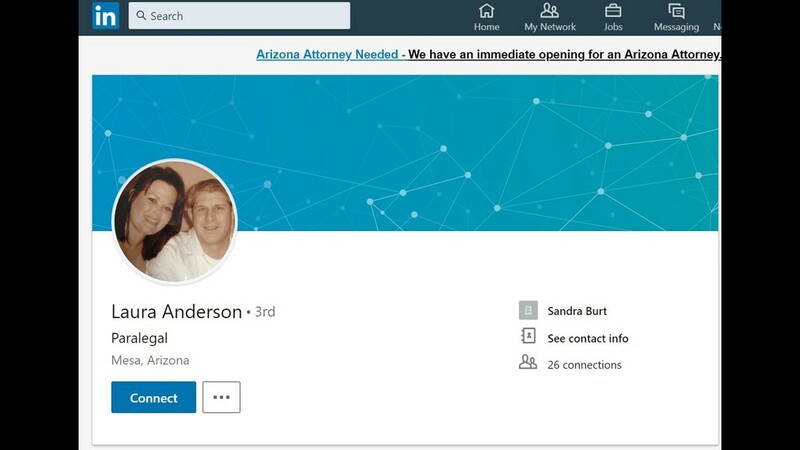 Laura Anderson was shot in a Scottsdale law office on June 1, 2018. 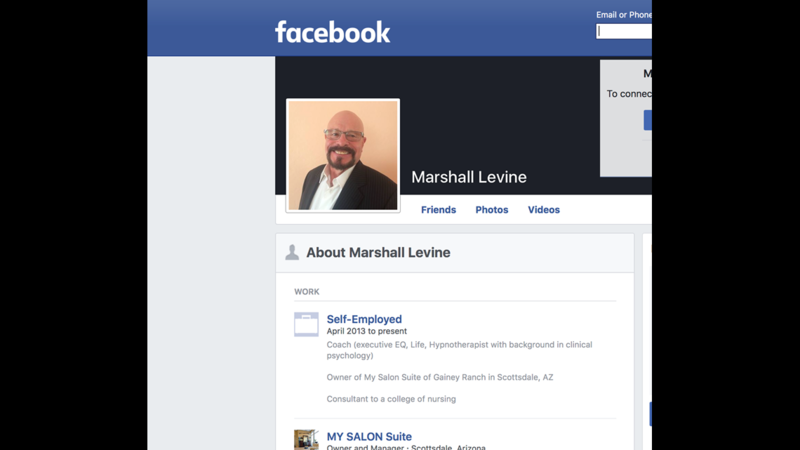 A screenshot of the Facebook page of psychologist and counselor Marshall Levine, who Scottsdale police have identified as the June 2, 2018 Scottsdale shooting victim.